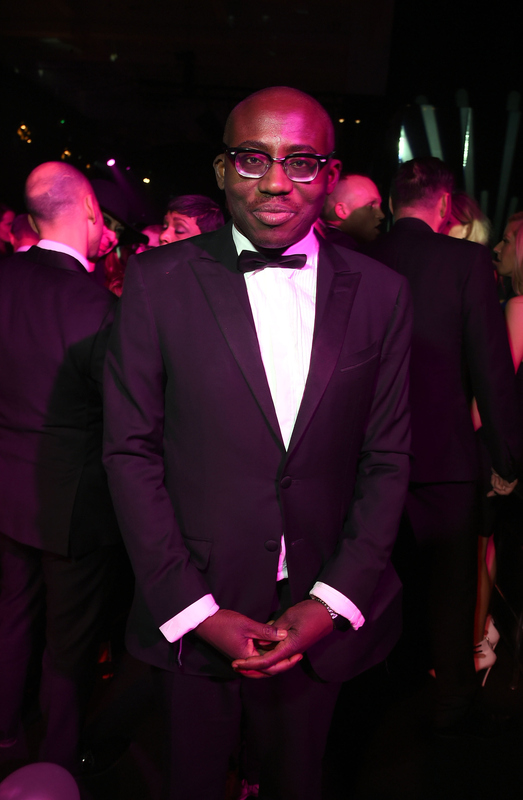 Stylist Edward Enninful is the king of chic editorial shoots, so when we spotted him in the Kaiser’s front row at Chanel, we had to find out his favorite models du moment. What models are you loving on the runway? Oh my god, you haven’t seen my Instagram! I’m obsessed with Lineisy Montero. Oh, she’s the best! Marjan Jonkman, obsessed. Roos Abels, I love. I’m having so much fun with all the new girls. It’s a great season for models. What trends have you seen emerge that you can’t wait to shoot? You know what I’m loving this season? Everybody’s doing their own thing. Every decade goes, every length goes. One minute you have slip dresses and the other minute you have boyish suits. Sixties are at Giamba. Nineties are at Saint Laurent. Alber [Elbaz] gave us a tour de force of day dresses. To me, it’s been a personal season. That’s what I like. Do you start requesting looks for shoots the second they hit the runway? I kind of make notes. I’m from another generation, so the minute I see it I kind of have an idea of what I want to do with it. Straight away I’m thinking about my requests and holding this look or that look. So I’m very well prepared.